The Rolex Oyster Perpetual GMT- Master II. 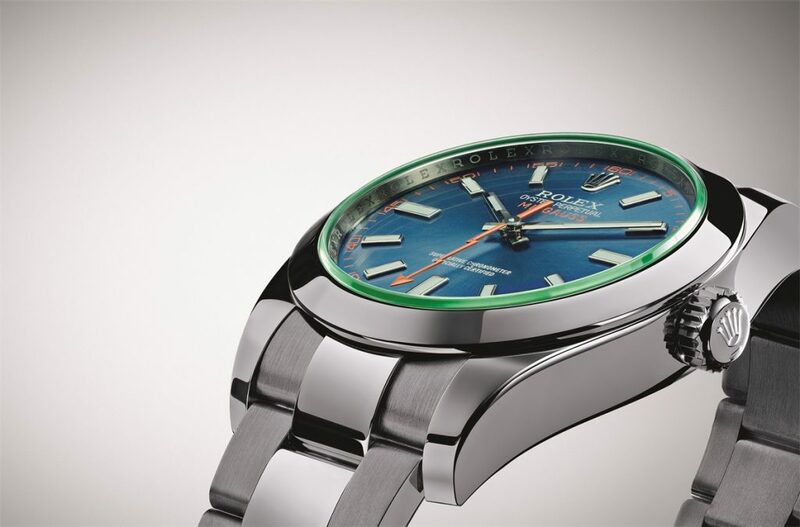 The Rolex Oyster Perpetual Milgauss. 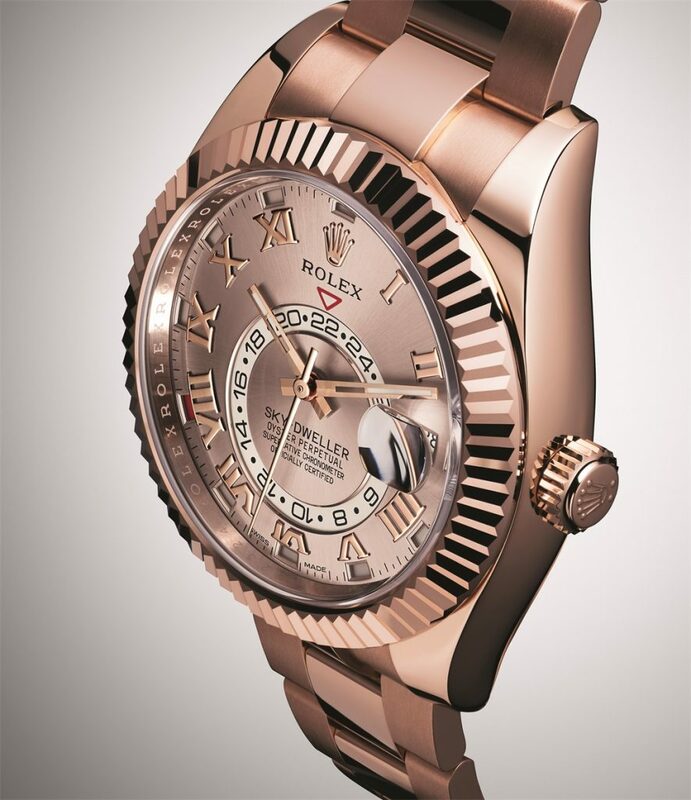 The Rolex Oyster Perpetual Sky-Dweller. The Rolex Oyster Perpetual Sea-Dweller. The Rolex Oyster Perpetual Datejust Pearlmaster 34. Rolex. It is an iconic name by any standard, and has become something of a folk legend in the process, representing style, achievement, and success. There are many good reasons for this, but the interesting thing is how hard the company pushes each year toward innovation, refreshing a brand while never undermining it. 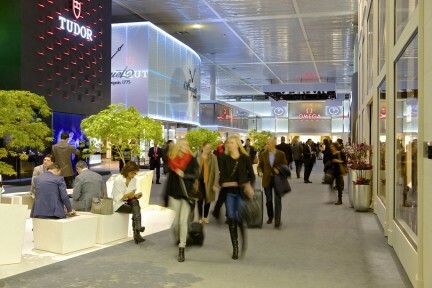 This year at Baselworld was no exception. First up, the marvelous Oyster Perpetual GMT- Master II. The design and technological triumph here comes from Rolex’s ability, fully in-house, to work with such materials as ceramics, dyes, and temperatures. 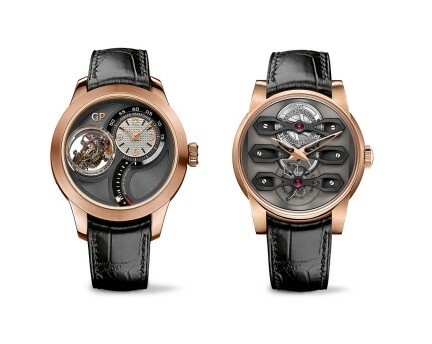 They have produced at watch with a Cerachrom bezel in red and blue this year, a world first. 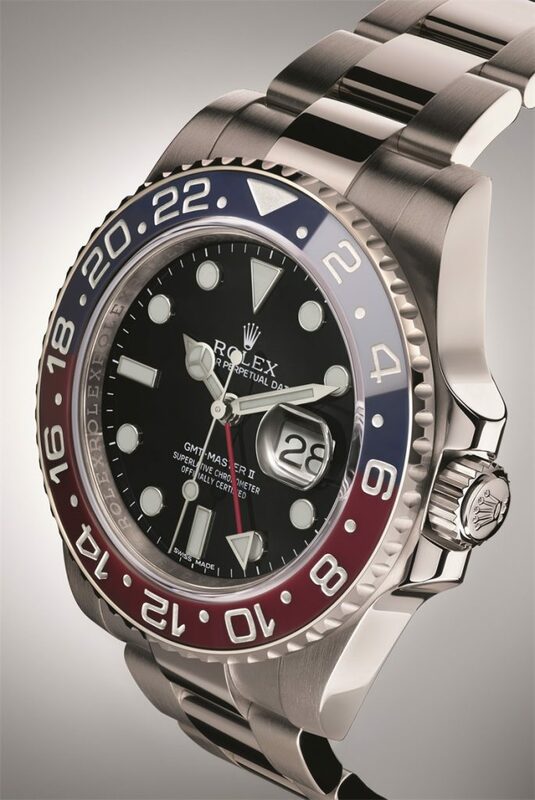 Last year, they introduced blue and black; the red proved a much more difficult challenge in ceramic, but eventually Rolex was able to actually chemically modify each grain of the ceramic, changing the colour to red. 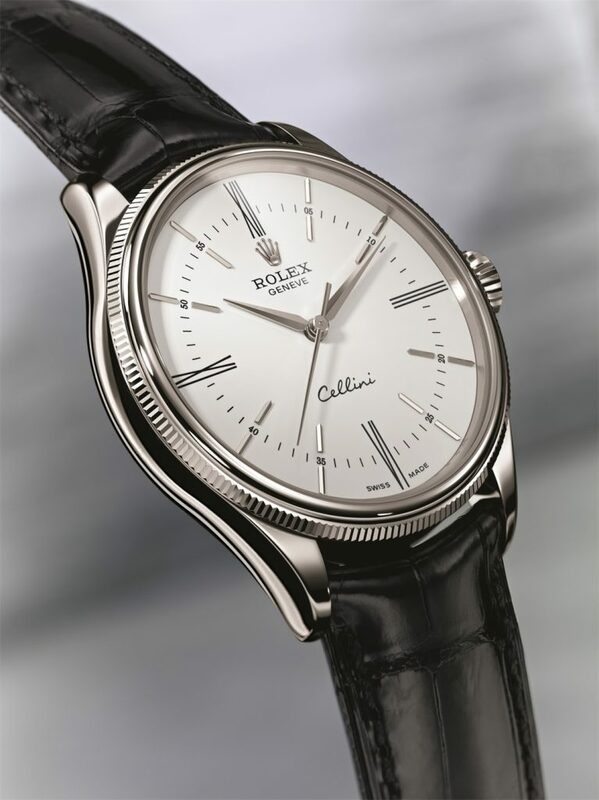 On a sportier note, Roley presented the Oyster Perpetual Milgauss, called such because it was originally created in 1956 for technicians and engineers working on the magnetic disturbances that causes problems for fine watches. The original resisted magnetic distortion up to 1,000 gauss. 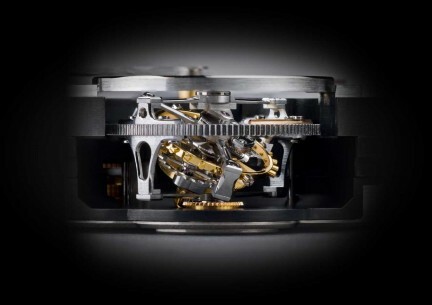 This year, the watch’s 40-mm case is green sapphire, the calibre is a 3131, self-winding mechanical. The dial itself is electric blue, with a lightning-bolt shaped second hand. 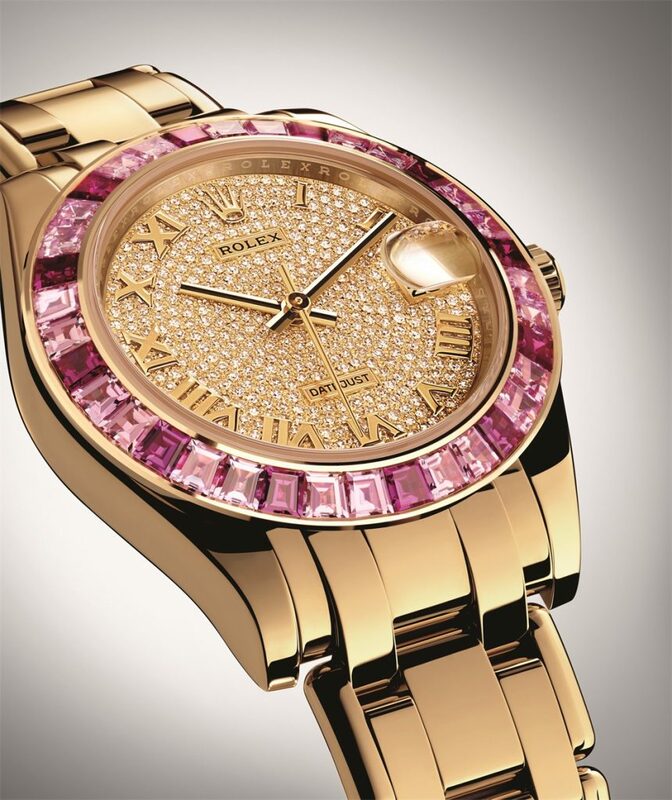 It is a striking statement, while still being manifestly a Rolex. 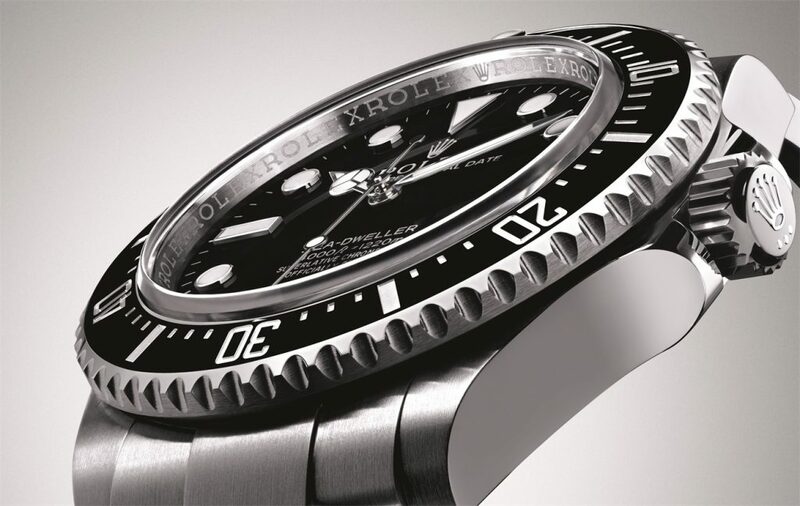 There are also the Oyster Perpetual Sea-Dweller and Sky-Dweller, in updated versions, including 14 new patents. And the Oyster Perpetual Datejust Pearlmaster 34 has some nice new design statements, including diamonds, hand-set, in 18-karat white or Everose gold. 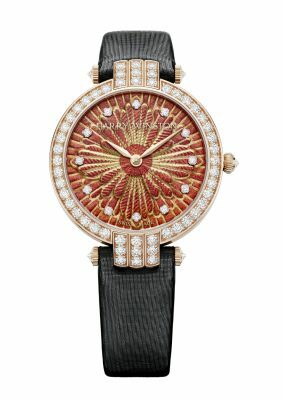 The bezels can be set with either red or blue baguette-cut sapphires. Add the new Cellini Collection timepieces too, in 12 models all intended to heighten a sense of the brand’s design tradition. All this, and you almost don’t have time even think about the Daytona. This was another prodigious year for Rolex aficionados.